Introducing ... 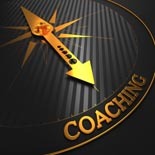 Launch Your Coaching Program In 10 Days Audio Pack .. Discover the Secret to Launching Your Coaching Program in 10 Days or Less! Would you like to start a brand new coaching program and launch it in 10 days? You will discover the secrets in this audio pack!